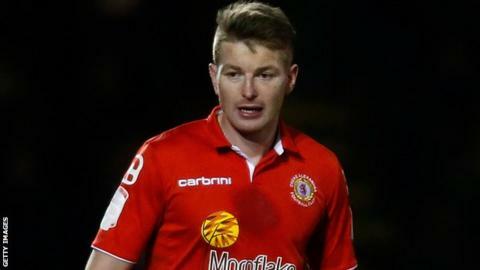 Tranmere have signed Crewe's Adam Dugdale and Josh Thompson from Colchester on a six-month contracts. Dugdale, 27 returns to Rovers after playing five times for the club during a loan spell last season. "He's a strong, determined defender who has a lot of experience at this level and higher" Tranmere manager Micky Adams told the club website. Thompson, 23, had been on loan at Prenton Park since October, but had his U's contract cancelled on Wednesday. The former Stockport, Celtic, Rochdale, Peterborough and Chesterfield centre-back moved to Colchester last summer after his short-term deal at Portsmouth expired. Liverpool-born Dugdale, is a product of Crewe's youth academy, but was released in 2007 and played in non-league with Southport, Droylsden, Barrow and AFC Telford. He returned to the Alex in 2010 and has made over 100 league appearances, but has only featured once for Crewe in 2015. "We weren't prepared or in a situation to offer him that [a contract] until the summer," Crewe boss Steve Davis told BBC Radio Stoke. "He's got his family and his future to think about so we felt it best, with the cover we've got, to do it. "He's sad to leave, he's been a brilliant servant for the club and we wish him well." Dugdale's contract with Tranmere includes an option for a further year.